No we did not hit the jackpot on the slot machines, but we did have a great weekend at our client’s franchisee convention. 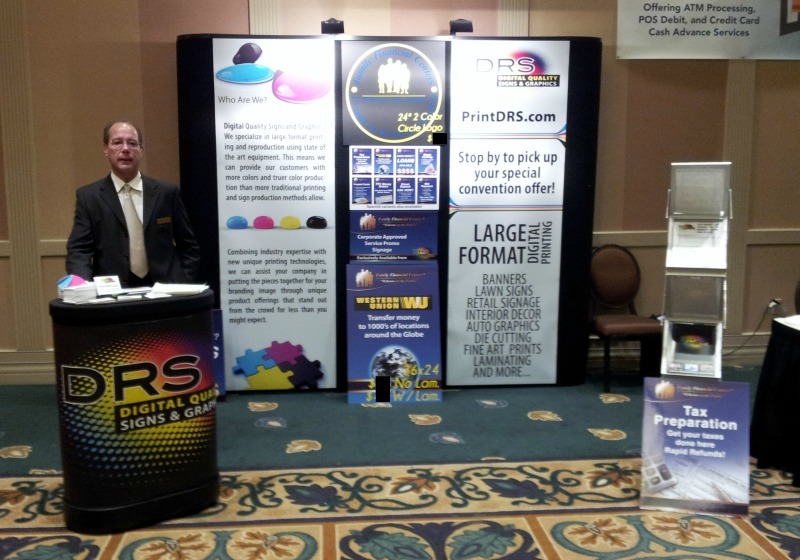 Digital Reprographics Solutions debuted in Atlantic City as the exclusive vendor for all wide format printing for the national franchisees. We are proud to have been awarded this honor and it was a great experience getting to know then owners and other vendors in this 2 day event. The theme was “Who Are You?” they certainly made us all feel welcome. We look forward to continuing to provide high quality, low cost on demand printing to the franchisee owners. If you are a franchisee owner you know the value of a quality vendor that you can rely on and can appreciate no mimimum orders.